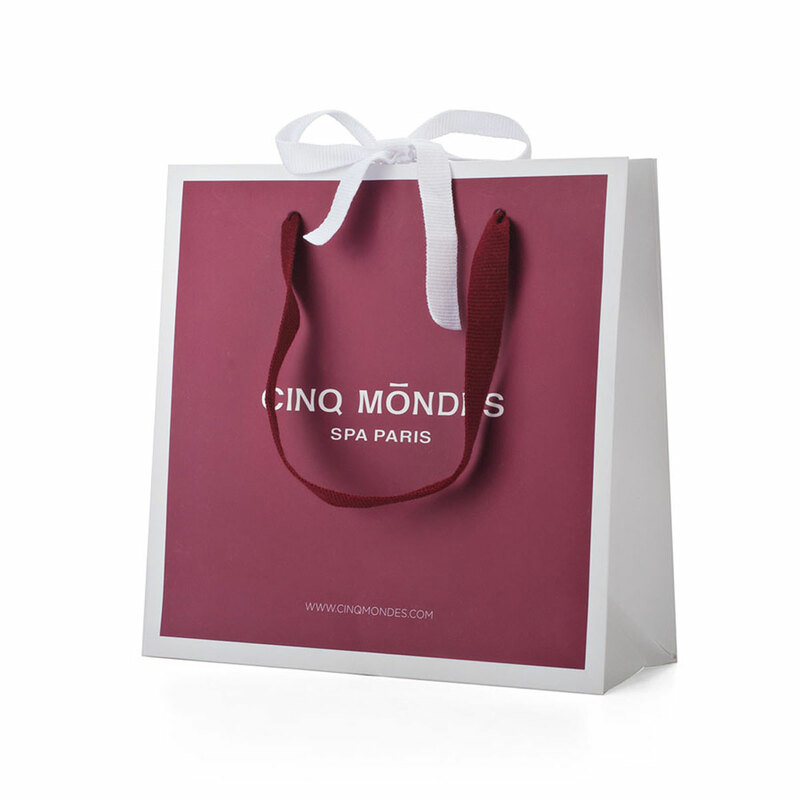 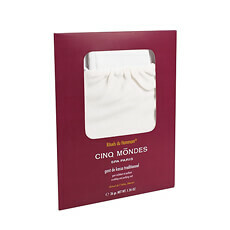 Every woman will love this luxurious Cinq Mondes duo of nourishing skin treatments. 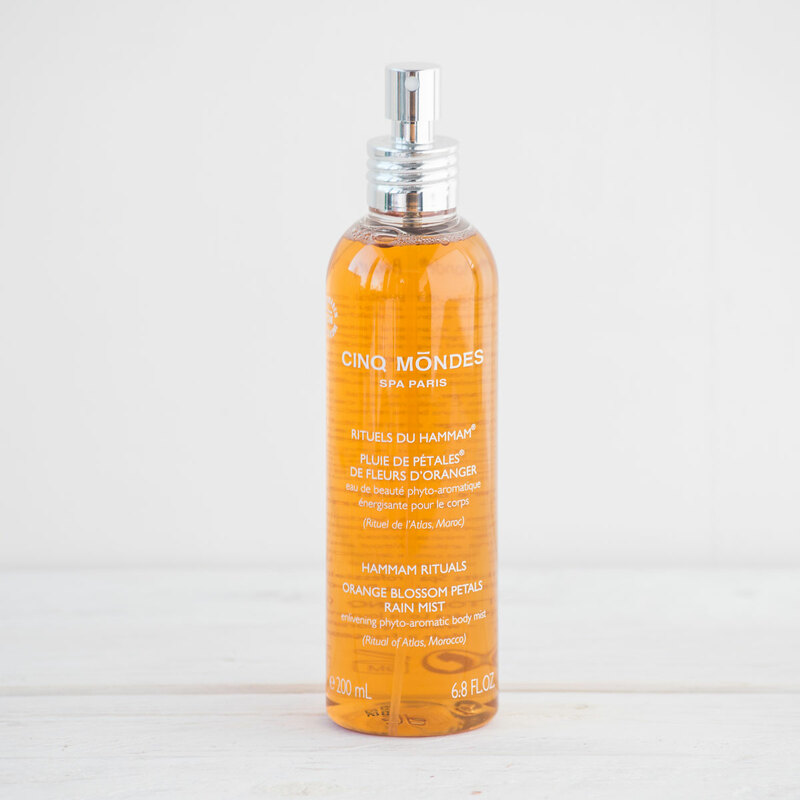 Inspired by the spa traditions of Morocco, the Orange Blossom Petals Rain Mist and Sumptuous Dry Body Oil will banish dry, dull skin, leaving skin satiny-soft and delicately scented. 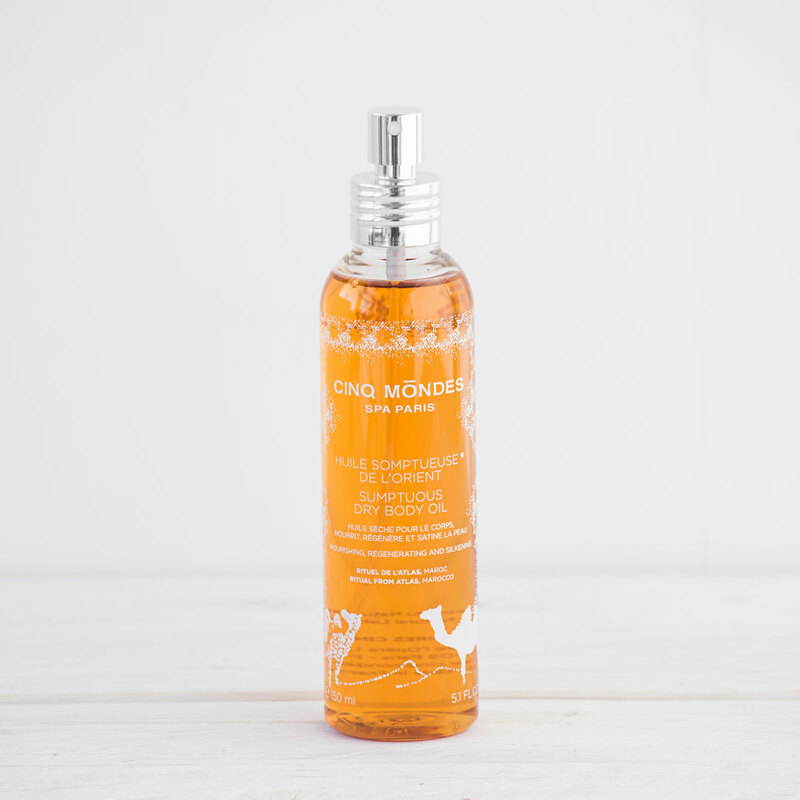 Orange Blossom Petals Rain Mist is a floral water with a fresh oriental scent with subtle notes of Neroli flower and bitter orange. 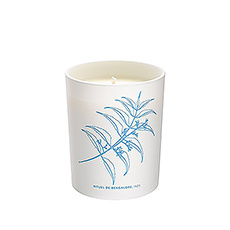 It is traditionally misted on after a steam in the Hamman, but would be just as wonderful after a hot bath or steamy shower at home. 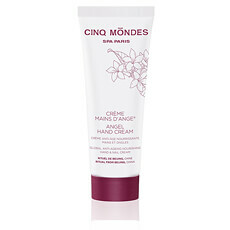 Orange extracts with vitamin C tone the skin. 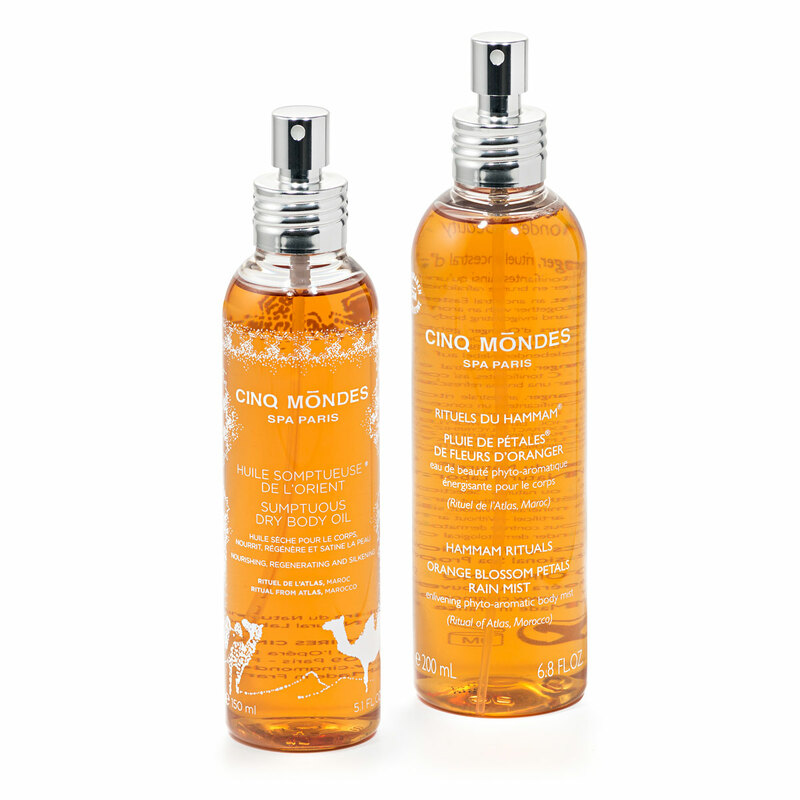 This duo of after bath essentials by Cinq Mondes will turn her everyday bathing into a luxurious spa experience!